Diversity and inclusion are core values at Beveridge & Diamond. We view diversity and inclusion as business imperatives, and we welcome and embrace the differences in the members of our firm. B&D strives to foster an inclusive culture that encourages and supports a diverse workplace. We accomplish this mission by attracting, developing, retaining, and promoting to leadership diverse talent and by creating equal opportunities for individuals to live up to their potential and feel included as valued members of the firm. Building a pipeline of diverse lawyers in the profession at large. Promoting a sense of community and value at the firm. Providing resources to support the varying needs and experiences of everyone at the firm. Mindful engagement within the firm on diversity and inclusion issues. Providing all of our attorneys with meaningful work opportunities necessary to advance. Participating in legal industry diversity efforts, including, among others, ABA Resolution 113 reporting, Diversity Lab's Mansfield 2.0 Rule pilot, and the Leadership Council on Legal Diversity's Fellows, Pathfinder, and Summer Clerk programs. 32% of our principals are women (compared to a national average of 18%). 44% of our lawyers are women or minorities. 77% of the lawyers who joined the firm in 2018 were women or minorities. Vault's 2019 Associate Survey ranked B&D 4th among over 30 midsize firms for diversity. 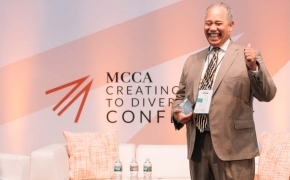 The Minority Corporate Counsel Association (MCCA) recognized B&D’s innovative practices to advance diversity and inclusion in 2018 with its George B. Vashon Innovator Award. B&D also received MCCA's Thomas L. Sager Award in 2013. Law360 named B&D a Top Law Firm for Female Attorneys in 2015 and 2016. DRI recognized B&D's commitment to diversity with its Law Firm Diversity Award in 2015, and AT&T similarly recognized B&D's work with their Legal Department Diversity Award in 2013. We are deeply committed to our continued leadership in advancing diversity and inclusion in the legal profession and are dedicated to partnering with our clients and communities to accomplish this goal. 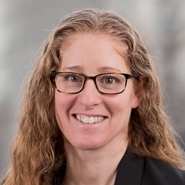 A dedicated Diversity Principal (partner) guides our efforts, working with our Diversity & Inclusion Committee, the firm’s Management Committee, and our Managing Principal.